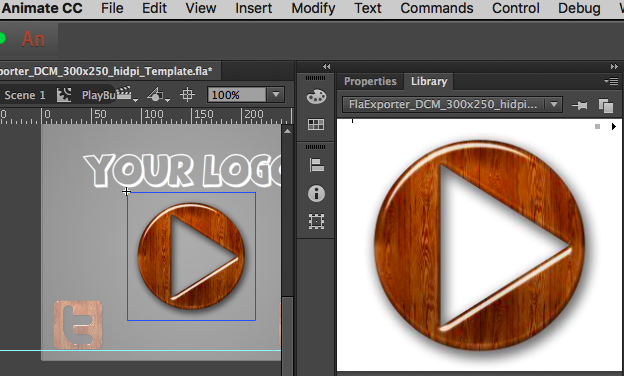 In this tutorial you will learn how to use the FlaExporter extension to simplify the process of publishing AdWords ads from Adobe Flash or Adobe Animate. 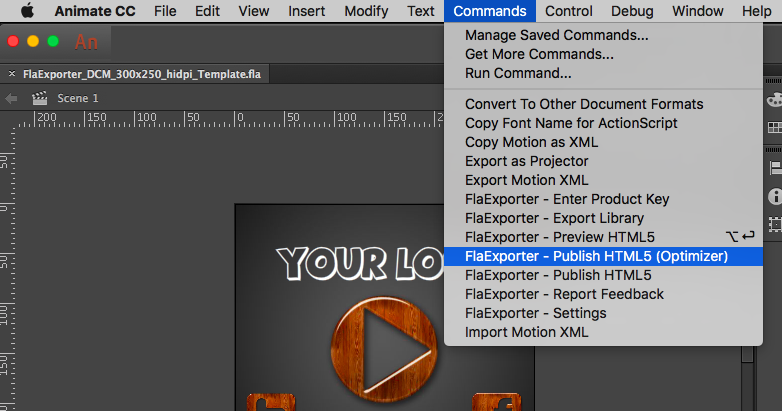 Bonus: Auto-optimize to easily keep complex ads under 150 K.
In this tutorial you will learn how to use FlaExporter to simplify the process of creating a AdWords ad with Adobe Flash or Adobe Animate. First click here to download the FlaExporter AdWords Ad Template FLA. If you haven’t already download FlaExporter. It’s free! You should be able to use this FLA and the included HTML file as a starting point for creating your own ad. The event handlers listed here will handle mouse and touch events for both desktop and mobile devices. Multiple exits are not supported by AdWords. Here are some working examples that can be found in the template FLA files in the zip. Note that the ActionScript code here is 100% valid and can be used in swf content as well. The event handlers listed here will handle mouse and touch events for both desktop and mobile devices. Multiple roll over events are supported. Flash Button symbol single-frame states(Up, Over, Down) are supported without needing any changes. Animated multi-frame rollovers can be created easily by adding onMouseOver/ onMouseOut event handlers inside your MovieClip. 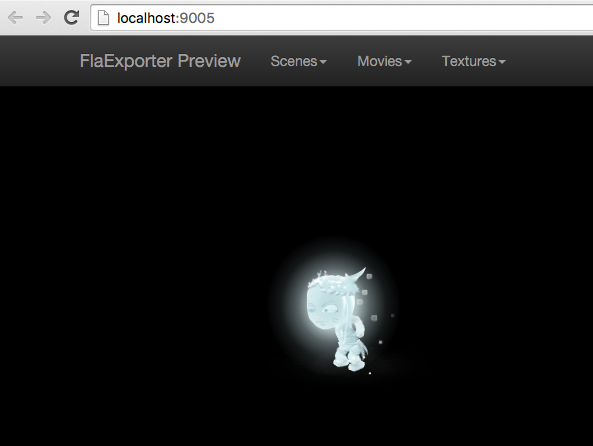 Once your project .fla is ready for publishing, you can use "Publish HTML5" to generate the files to deploy to the web. Simply select "Publish HTML5" from the "Commands" menu. The extension will convert your .fla file to HTML5 and write the files to the folder you select. These files are intended to be deployed to a web server. If you want to run your project locally you should use the "Preview HTML5" command instead. You can assign a keyboard shortcut to make publishing easier. Once your project .fla is ready to test and preview, you can use "Publish HTML5 (Optimizer)" to generate optimized files to deploy to the web. Simply select "Publish HTML5 (Optimizer)" from the "Commands" menu. The extension will convert your .fla file to HTML5 and write the files to the folder you select. These files are intended to be deployed to a web server. You can assign a keyboard shortcut to make optimizing easier. Open the including HTML file and add the following include. Open the including HTML file and change the width and height of the ad.size meta tag to your desired dimensions. Open the including HTML file and you will see a section of the document that begins with #spinner. Change this to use your desired preloader animation. To create content that looks crisp on high DPI and retina devices simply use library symbols that created at 2x their size when used on the timeline. Then scale the symbol to 50% when the symbol instance is added to the timeline. All of the assets in the template are created this way. For example the dimensions of the background on the main timeline are 300x250 while the image inside is 600x500. After you publish your ad using FlaExporter - Publish HTML5 or FlaExporter - Publish HTML5 (Optimizer), zip up the published folder and upload the zip here. You will see that content published with FlaExporter automatically passes all of Google AdWords validator checks without any additional work.